Homepage > Blog > articles > Do you have Arthritis? Can you guess what the leading cause of disability is in America? Well, incase you missed the title of this article, it’s Arthritis. According to Arthritis.org., more than 50 million adults and and 300,000 children suffer from some type of arthritis. Rheumatoid Arthritis – A chronic inflammatory disorder in the joints. There may be visible signs of Arthritis, such as knobby finger joints, but most times, the damage can only be seen through X-rays. This is why it’s important to visit an experienced chiropractor with the necessary digital X-ray equipment to properly diagnose and treat your condition. Arthritis can be difficult to live with becuase it’s typically a chronic disorder. So if you’re going to solely rely on over the counter and prescription medications, you may be taking pills for life to deal with your symptoms. If your the type of person that would feel better persuing a holistic approach, a visit to a Chiropractor near you would be a great first stop. You chiropractor would tailor your treatment specifically with your condition and overall health in mind. He or she may gently manipulate the soft tissue around the joint to stop muscle spasm and decrease tenderness. He or she may apply exercises or traction to slowly and gently stretch your joints to help increase range of motion. These techniques may help increase circulation, reduce inflammation, resulting in increased and proper range of motion in the affected joint. Cold Laser: This is a non-heat producing laser or light that penetrates deep into the tissue, helping to reduce inflammation. Electrotherapy: Safe, painless electric pulses that treat soft tissue injuries by stimulating nerves and muscles. Your Chiropractor may find joints are degenerating because they are misaligned. They may be able to realign the joint and or slow down the progressive degenerative changes associated with osteoarthritis also known as degenerative disc disease in the spine. At the same time they may also use therapies to treat the surrounding tissue. For example, if a patient is experiencing knee pain as a result of arthritis, adjusting the pelvis may avoid secondary pain in the lower back due to the arthritic knee. This is how chiropractors can help isolate the injury and help you avoid other conditions. Whenever you’re diagnosed with a condition, it’s important to do your homework. With all areas of life you have to be your own advocate. Your local chiropractor is a great place to start your journey because they can explain your condition and the effect it can have on your body. They can also show you how to make some simple lifestyle changes to help ease symptoms. 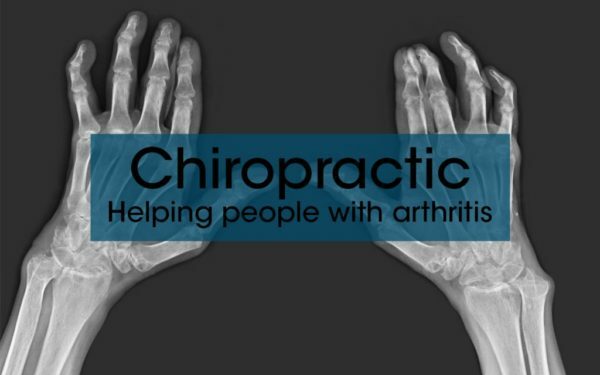 Your chiropractor can be particularly effective when it comes to arthritis becuase chiropractors specialize in the function of your joints and how they affect the functionality of your body. As with many conditions, people rely on medications to get them through the day. But prolonged use may have other harmful side effects. Chiropractic care may be an effective and safe route to take to help conocure your arthritis symptoms. If you are in search of a Chiropractor in Brick, Toms River, or anywhere in Ocean County NJ, the Back and Neck Center of Brick can help. Our team of doctors have been helping patients with arthritis and many other conditions for over 28 years, and we’re confident we can help you too! 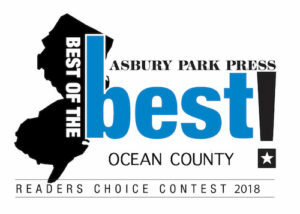 Come see why the Back and Neck Center of Brick have been Voted Best Chiropractors in Ocean County 9 Years in a Row. From 2009 to 2018 by Readers of the Asbury Park Press! Prev Previous post: So You Have a Frozen Shoulder. Can Your Chiropractor Help?